By David Glass, Corporate Consultant at Irwin Mitchell. “Thinking about the “Protocol on Ireland /Northern Ireland” to the draft EU Withdrawal Agreement, it might be a good idea to focus on the actual wording of the controversial “Backstop” arrangements. There are other provisions in the Protocol which are relevant but these provisions would seem to be key to the question of whether the United Kingdom can extract itself clearly and cleanly from the Ireland/ Northern Ireland Protocol arrangements. This is in many senses lawyers’ law and lawyers are very familiar with concepts such as “frustrating” events, implied terms, duties to act in good faith and the high level of commitment required by an obligation to use “best endeavours”. 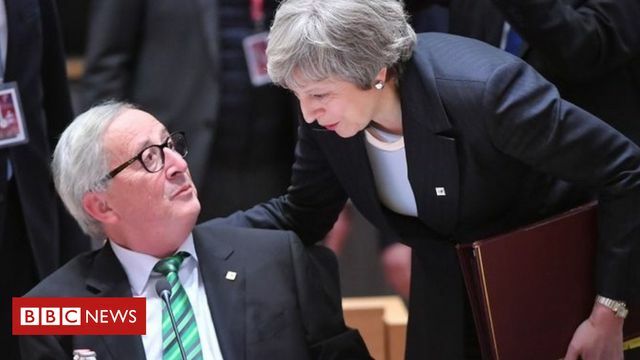 European Union leaders have said the Brexit withdrawal agreement is "not open for renegotiation", after appeals from Theresa May. She wants legal assurances on the Irish backstop to help her deal get through Parliament, after she delayed a Commons vote in anticipation of defeat. The PM said the deal was "at risk" if MPs' concerns could not be addressed. European Commission president Jean-Claude Juncker said there could be clarifications but no renegotiation.